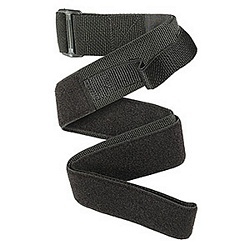 This heavy-duty hook-and-loop strap bundles and secures loads with extra holding power! The 2-inch-wide strap is a full six feet long and includes a durable handle at one end. Just wrap the strap around a load of small packages and haul them all off at once.